When I made the commitment to myself to start this blog, I had just begun a 3+ week vacation in Europe. Hence much of the thought that I put into what I might write about was heavily influenced by what I was experiencing in France. The next three weeks of posts will be from my travels and in some cases more about us as a people than about leadership. But it makes sense to me that to be a leader, we first need to understand the essence of ourselves and those we are leading. I would love to hear your ideas on these thoughts! “work to live” to “live to work” the people of France have always been firmly on the side of life. It is ingrained in so many aspects of their way of being from the continued existence of family run shops to long lunch breaks to summers on the coast to sincere and soulful conversations between neighbors that make an unmistakable “I am French” statement. You see it in the way they interact with one another sitting leisurely for coffee or greeting everyone personally regardless of whether they know the other person. 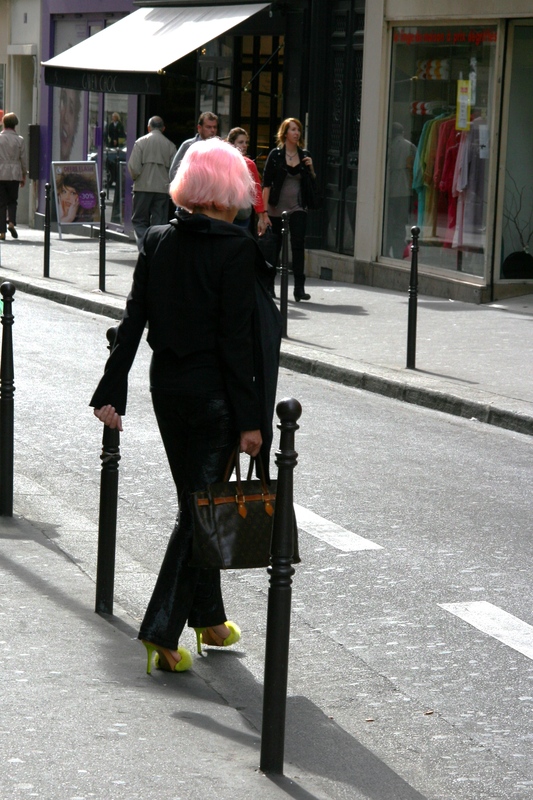 In my recent trip to Paris I began to see Parisians specifically in a new light … they seem to go further than that. The people of this city have shown me that perhaps “work to live” is actually the mid point on the continuum. And perhaps the actual end point of the continuum is “live to live”. Their lifestyle is all about living the exact life they want. Their exact appearance, their exact location to live, and their exact expression of who they are. It manifests in a few ways. We see it in the nature of consumption. There so many pastry shops, chocolate shops, candy shops and other unique forms of indulgence available. It also amazes me that it is actually necessary for there to be an optician on every block! We see it in the way they work. Jobs seem to be at worst a necessity to fund their “living” and at best a means to connect with people they will encounter as they go about their day. There is much to commend in this. While having our morning coffee one morning the garbage truck came by and the proprietor of the coffee bar invited the workers in for coffee, where they chatted and greeted each other before heading back out to get their truck out of the way and allow morning rush hour to continue. It was great to see two groups that you wouldn’t immediately expect to be associated get together to just “be human” with each other, but also interesting to see that it seemed to be alright to impact the lives of others. We see it in the highly evolved art scene in Paris. We may not appreciate all of it, but the number of galleries that cater to a specific unique art form is astounding. 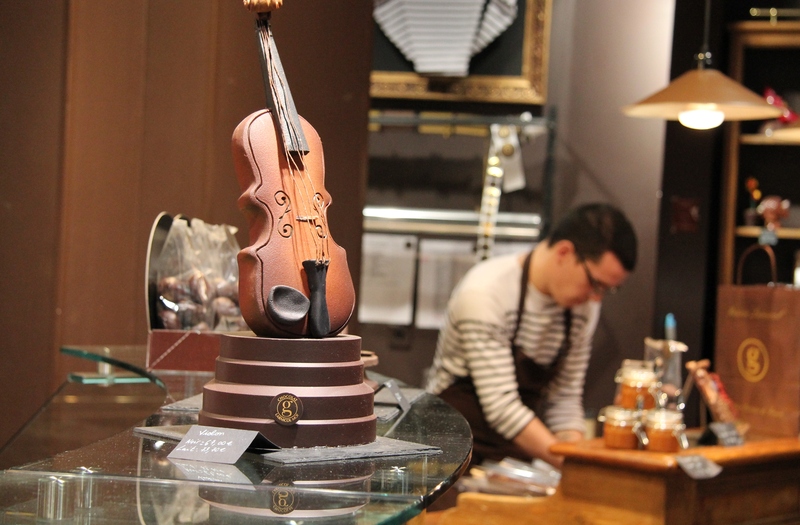 In fact the number of specialty shops of any sort belies the number of people who live in Paris. 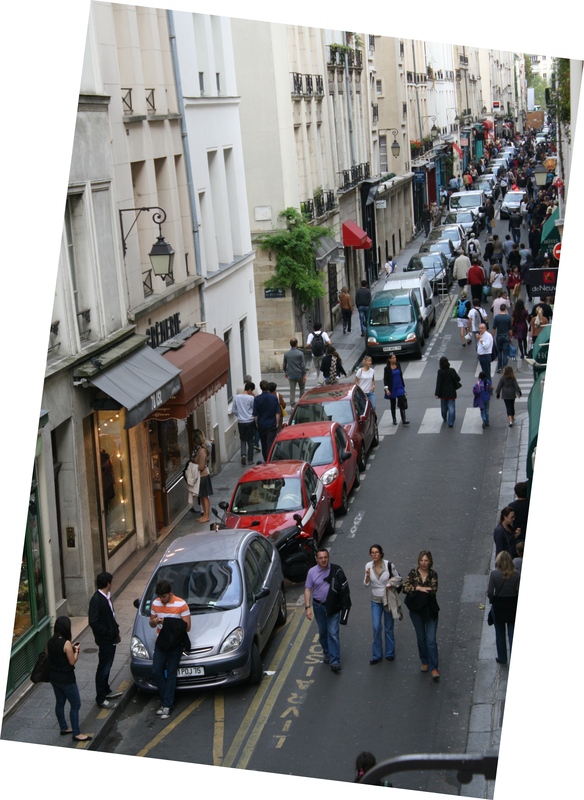 I know tourism contributes to keeping these shops open, but given their unique nature, it is only possible that they continue to exist due to the patronage of Parisians and their drive to express themselves as a unique being. We see it in a greater degree of inerpersonal connection. Sure everybody has an iPhone and they use it. But there seems to be such a greater degree of person to person / face to face genuine exchange of compassion for each other rather than a text or Facebook friendship. I admire this. I think we can all learn from this. We need to be comfortable from head to toe with who we are, and we need to be proud to let the world see us as who we are. Without respecting and loving ourselves first, it becomes more challenging to fully respect and love others. So it would be great to bring some of this attitude home. But I do wonder where this all ends up. I just got to be me! it playing out more like the fall of an “empire” where the demand for self expression outstrips the interest in working to produce it? A reprise on Nero and his fiddle. Or could it be that we really are seeing a new meme forming. One where self expression becomes the essence of the culture, and where a work is simply understood as a communal necessity to support such a society. One where self, friends and family are of prime importance in our day. I know I’m gazing into a cloudy crystal ball in this post, but I can’t help wonder if a tiny fraction of it is true, and what the outcome might be. I have also felt the same way when I was in Europe, that they have the balance of life figured out. I hate to say that it was 20 years ago but it seems that it still stands today!